"Imagine: John Lennon" is a 1988 documentary film about the English musician John Lennon. With its wealth of stock Lennon footage and self-narration, "Imagine: John Lennon" has proved to be a well-received film. Bridging his two musical phases together as a member of The Beatles and as a solo artist, Imagine: John Lennon is a career-spanning collection of Lennon's many musical highlights. In addition, there are a couple of heretofore unreleased recordings: an acoustic demo of "Real Love" taped in 1979 (an alternate recording of which would be finished by The Beatles for 1996' s Anthology 2) and a rehearsal take of "Imagine" in mid-1971 before the final take was captured. A documentary about former Beatle John Lennon, narrated by Lennon himself, with extensive material from Yoko Ono's personal collection. The rest of the video can be watched on youtube or you could check in the related videos section in the embedded player once the video is done. This feature film biography of the legendary rock musician includes previously unseen footage from Lennon's private archives, as well as interviews with his first wife Cynthia, second wife Yoko Ono and sons Julian and Sean. 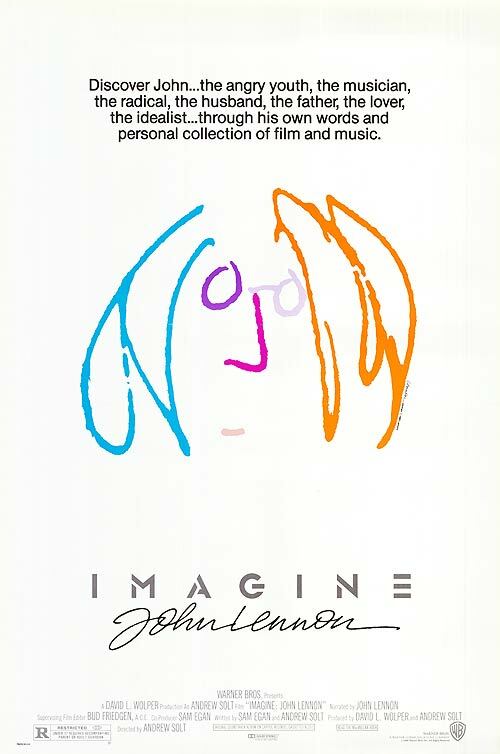 Narrated in Lennon's own voice, IMAGINE was taken from the 240 hours of personal film and video from the star's private collection. John Lennon Tribute : Google Doodle !